IT as an industry has changed the face of how business is done in many ways. Information gets faster to where is needed, people can work from anywhere, everything changes with a never before seen speed. At the same time, organizations need to make sure they can face a potential natural or man-made disaster by creating and using a Disaster Recovery Plan to help minimize disruptions to the networks and restore everything to normal as fast as possible. An IT Disaster Recovery Plan represents a set of actions that need to be in place before, during and after disaster strikes. As with any plan, in order to make sure that everything goes as it should, this disaster recovery plan needs to be tested before the event for which it was written happens. Proper pre-emptive testing can help make sure that all will go as planned when it is needed. As with a lot of things, the better prepared you are, the lower the chances for something to go terribly wrong. A well written and well implemented disaster recovery plan is the key to keep an IT infrastructure safe and to ensure business continuity. As one would expect, the most important thing that is expected from a Disaster Recovery Plan is to have as little disruption of business operations as possible. Also important are minimizing the risks of delay, ensure that data security is where is required, creating a reliable backup system and making sure that all recovery operations are performed quickly. If a company depends on a network, servers, IT infrastructure, a Disaster Recovery Plan is a must. You need to hit these three very important aspects: Prevention, Anticipation, and Mitigation. Prevention means avoiding what can be avoided and making sure that you have backup generators for instance in case of a power outage. Anticipation means to have a right set of measures to help you with unavoidable disasters. Lastly, mitigation comes to help you manage disasters and minimize the negative effects. 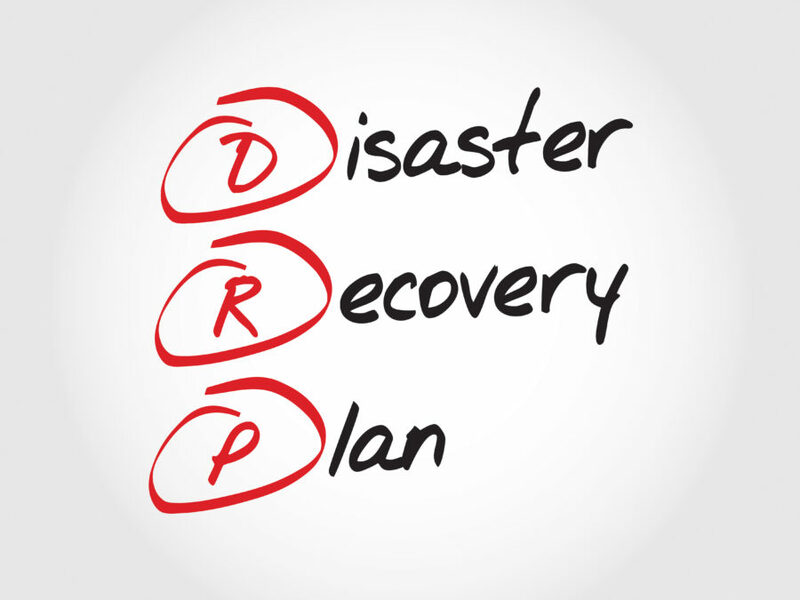 So, what do we do when we start working on a Disaster Recovery Plan? It all starts with a thorough analysis of existing network infrastructure, the databases, applications, all the related details. You need to have a well defined disaster team with well defined responsibilities assignment. It should all be written up in a document, so as not to be taken by surprise and those involved in recovery know what is expected of them. Having a recovery time objective in place, a list of inventory and storage locations will also help you better manage what is in store for you. Number one: Create your Disaster Recovery Team. These are the people who will take care of your business when things go South. It needs to have the core members of each department, and it will take care of the development and implementation of the Disaster Recovery Plan. Number Two: Risk Analysis. In order to make sure that your disaster recovery plan is effective, you need to analyze the risks for your company, and check out what impact it would have on your business. Thus you can make sure that you secure the vital resources to be prepared when the inevitable happens. You will have to take into consideration not only natural disasters, but hardware failures as well. The one risk that will be the hardest to assess is human error, but this is where the great team you have assembled will play a big part. If you are inexperienced, you can talk to your hosting provider to lend a hand, since their experience with your type of business will come in handy for sure. Number Three: Keep your processes and operation prioritized. All your data services, processes, operations need to be categorized and ordered based on priority so you can make sure that the vital parts of your company are protected. Number Four: Actually writing the Disaster Recovery Plan. You should have a document in a standard format that details the procedures that need to be performed in case a disaster happens. It also needs to be as through as can be so everybody knows what they have to do and how to do it. Number Five: Testing, testing, testing. Once it’s all put on paper and well organized, the next step is actually having the plan tested. You need to make sure that everybody knows what needs to be done and how to do it, and at the same time, test how your application will behave in case of catastrophe. What happens when you don’t have a DR? One of the main things that can happen when you don’t have a DR plan in place and a foolproof strategy, is you can lose your data. It’s one of the most common things that happen in the IT business. You can for instance go for Flat File Backups for instance, which means that files are exclusively locked by the database. Should you encounter a hardware failure you will find that you can’t restore anything. One other thing that can go terribly wrong is having your database corrupted. This is the part where we tell you that it’s best to not assume that your server is backed up and test your restores every once in a while to make sure that everything works as it should. Testing the Disaster Recovery plan is as important as writing it. Even more, since this is where you can see what goes wrong and you can solve it in a safe and controlled environment without the actual risk to your business. Needless to say that any migrations or backups should be done when it’s sunny outside. If your datacenter is located in an area that is prone to weather problems, don’t wait until the hurricane strikes to make the much needed backups. It might fail and you might end up even worse than without the backup at all. Again, this is why having a well written plan, that has scheduled backups is important. Well, in the event that disaster strikes and you have a plan, all you can hope is that it is well implemented and it works. In the event that it does not, you will probably have to use expensive recovery tools that might or might not work, but at least you will have learned a valuable lesson: ALWAYS have a Disaster Recovery plan. The bad part is that you might end up with lost data that will affect your business, but all is not lost, you can see exactly what went wrong and improve for next time. What can be done so you don’t end up spending thousands of dollars trying to get you information back? First: have a Disaster Recovey plan. Second: make sure that it’s a good disaster recovery plan. For instance, you can go for multiple locations for your backup so if one experiences hardware failure, you still have the other to restore. Third: TEST. It is vital that once you have taken into consideration all possible scenarios that you test your Disaster Recovery plan so all is in order, nice and organized and prepared.